I'm feeling a little overwhelmed these days; as happens in life, there's too many things that need tending to, and not enough time to do so. 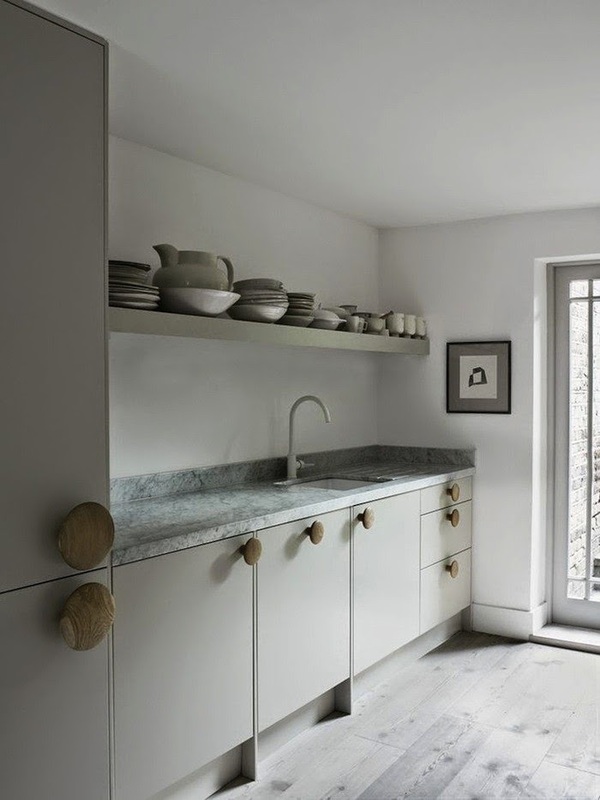 This kitchen, by Faye Toogood, steadies me. The dove-grey palette calms without going dramatically, depressingly dark. Oversized cabinet knobs offer a reassuring, two-handed grip. Even the plinth, broken into discrete segments rather than an open sweep of space, works to slow the design down.